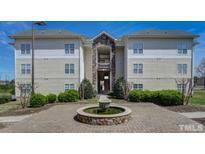 Find Elon, NC Condos for sale. View Photos, Maps and MLS Data Now! Partners Place - HOA fee includes wifi, cable, water/sewer, trash,exterior & common area maintenance.Great investment opportunity! MLS#2246353. 682. These statistics are updated daily from the Triangle Multiple Listing Services, Inc. For further analysis or to obtain statistics not shown below please call Highgarden Real Estate at 919-759-5733 and speak with one of our real estate consultants.